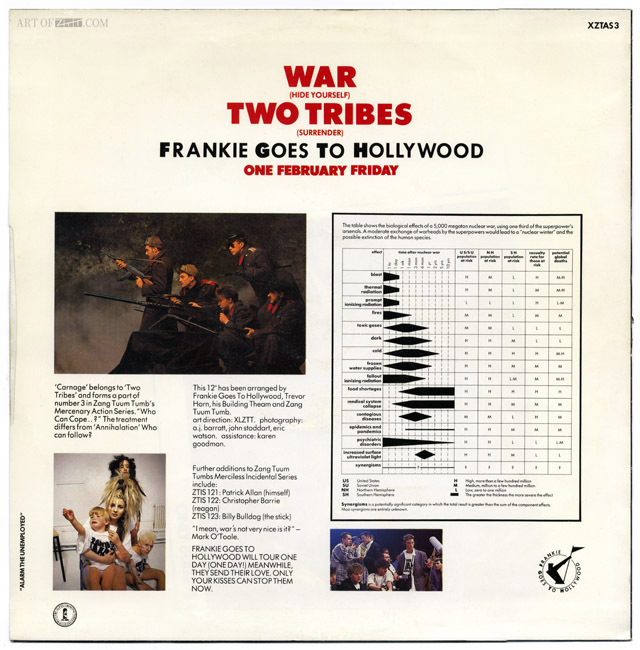 There was a point, I think after the first two releases where you said: “We’re never going to call anything a ‘mix’ again? 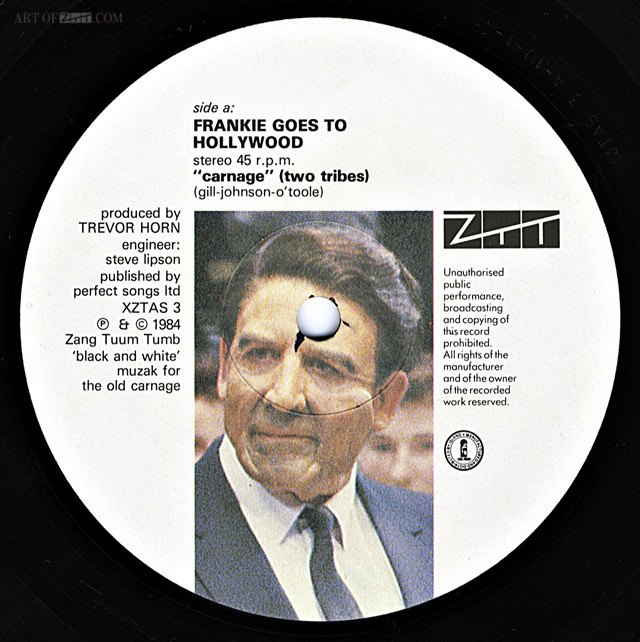 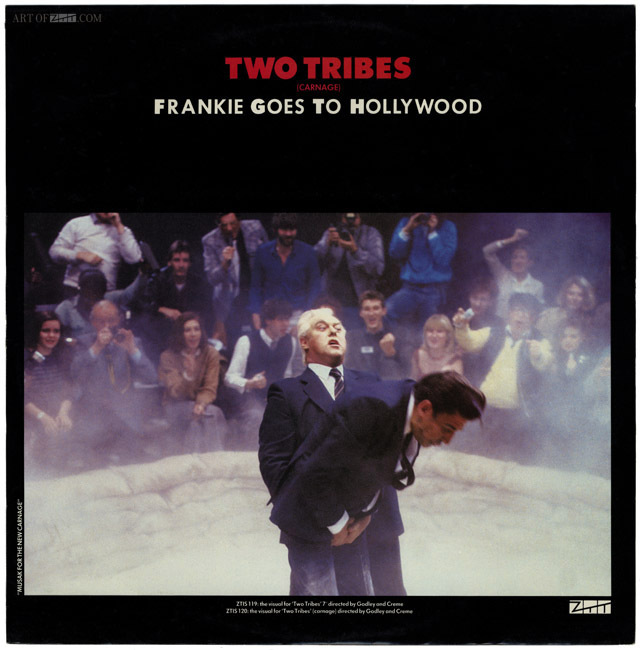 artist: Frankie Goes To Hollywood title: Two Tribes format: 12″ single design: XLZTT photography: AJ Barratt (front/ back / labels) Eric Watson (back) John Stoddart (back) cat. 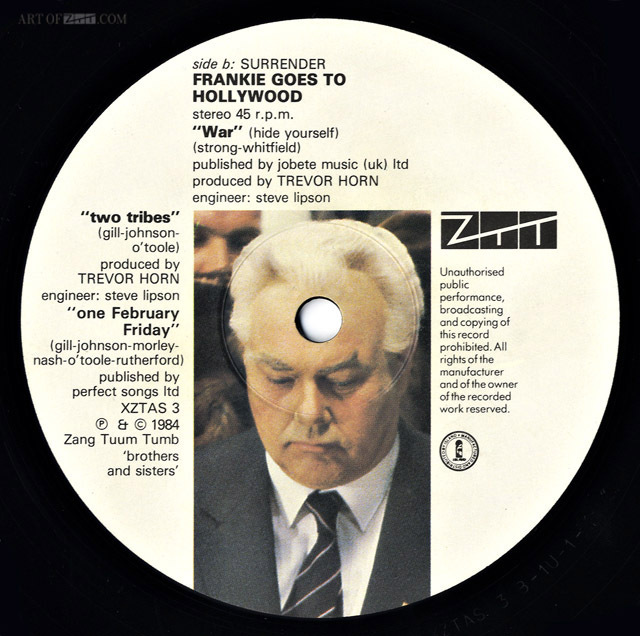 no: XZTAS 3 date: 18/06/84 art of notes: This was the second 12″ remix released whilst the song was still at no.1.